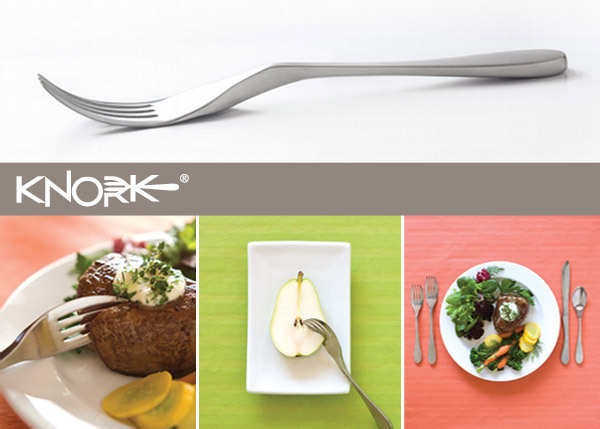 Move Over, Spork; the Knork's in Town! Move Over, Spork; the Knork’s in Town! The first time I saw (and used) a spork was because it was included in the bowl of instant noodles that I was eating for dinner. It was a clever design, but I didn’t find it the most useful thing in the world because I had a hard time forking the noodles and an even harder time spooning the soup. Perhaps building on the trend of combining basic utensils into one is the Knork. If you haven’t guessed already, it’s a knife and a fork combined into one. These Knorks basically look like forks with a beveled edge on one side, which functions as the knife. They come in both disposable and stainless steel versions to suit your every meal that requires a knife and a fork. 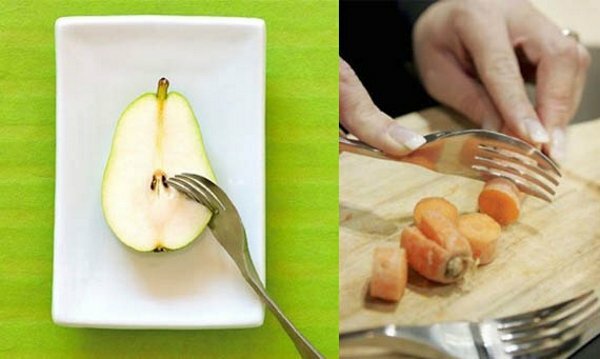 I don’t know how they did it but they sure put a lot of thought into the design so that the edges don’t cut you when you’re forking food into your mouth. These Knorks are available in packs of four from Amazon for $22.99(USD) and in various other sets from the official Knork store. I will now stop saying Knork.